Murder by Gaslight: Murder Among the Whyos, Part 1. Murder Among the Whyos, Part 1. 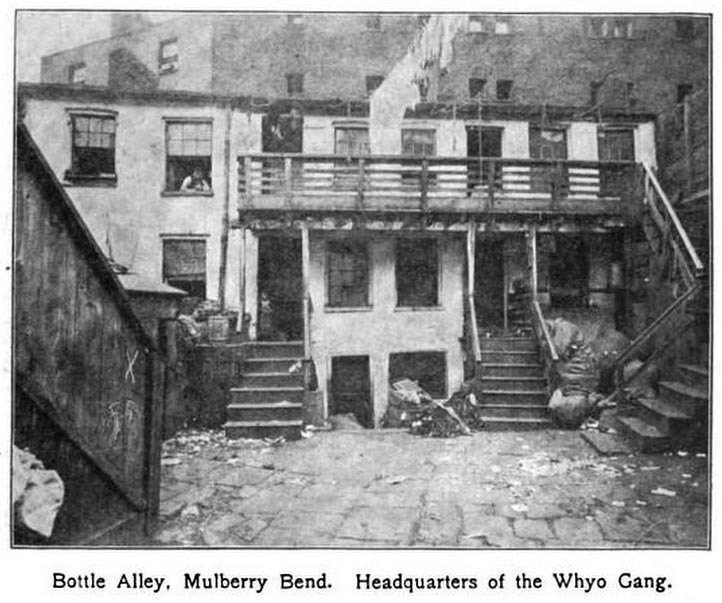 The Whyos, in 1886, were the strongest and most brutal criminal gang New York City had ever known. Under the joint leadership of Dan Driscoll and Dan Lyons, the Whyos grew to control criminal activity throughout the city. But Driscoll and Lyons were too violent and reckless to rule for long and their mistakes led to the demise of the gang. The Whyos’ downfall began when Dan Driscoll stole Beezy Garrity from her pimp John McCarthy. 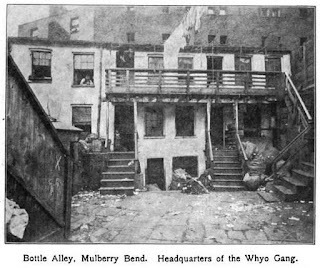 colorful names like, Dead Rabbits, Bowery Boys, Plug Uglies, Shirt Tails, Roach Guards, and Chichesters would battle over turf, primarily in the notorious Five Points neighborhood. At times they would unite behind the nativist Bowery Boys or the Irish Dead Rabbits and battle over national pride. Occasionally, all gangs would join together to battle a common enemy as in the Draft Riots or the Astor Place Riot. The Whyos were tough and ferocious. Mike McGloin, a Whyo leader who was executed for murder, summed it up in one line: “A guy ain’t tough until he has knocked his man out.” Legend says that a man could not become a full member of the Whyos until he committed murder. The Whyo’s power peaked in the 1880s under the joint leadership of Dan Driscoll and Dan Lyons. Both men had a weakness for strong, beautiful women, a trait which would lead to their ultimate downfall. The beginning of the end came when Dan Driscoll met 18-year-old Bridget Garrity. Bridget Garrity, better known as Beezy, was a prostitute working for gang member John “Red” McCarthy but she had higher ambitions. Beezy aspired to be the queen of the Whyos and when Dan Driscoll began paying attention to her, she was ready and willing to leave McCarthy and go with him. Though Driscoll was married with a young daughter, he began stepping out with Beezy Garrity. This devastated McCarthy; Beezy was not just one of his whores, she was his girl. Her desertion led to a bitter feud between Dan Driscoll and John McCarthy. The feud escalated rapidly, and in early June 1886 McCarthy tried to kill Driscoll, firing two shots at him with his British bulldog revolver. On June 26, Driscoll decided to put an end to the matter. At four a.m., Driscoll, carrying his own revolver, paid a visit to the Hester Street lodging house where McCarthy ran his brothel. Beezy came along with him, hoping to forestall any bloodshed. Inside the building, Driscoll burst open McCarthy’s door. Beezy went in first, then McCarthy pushed back on the door to prevent Driscoll from entering. As the two men pushed from opposite sides, Driscoll stuck the muzzle of his revolver through the crack in the door. McCarthy saw the gun and managed to stay clear. Driscoll fired; the bullet missed McCarthy but hit Beezy in the abdomen. McCarthy then ran down the back stairs followed by Driscoll who fired a second shot, missing McCarthy again. A police officer heard the shots and after a hard chase captured Driscoll and put him under arrest. Beezy Garrity was taken to St. Vincent’s Hospital where surgeons tried in vain to save her life. As Beezy lay dying, the police questioned her about the incident, and she remained loyal to Driscoll. She told them John McCarthy had shot her, though the police had already confiscated McCarthy’s revolver and saw that it had not recently been fired. “Do you know that you probably are going to die?” the police captain asked. Beezy’s mother came in and tried to persuade her daughter not to die with a lie on her lips. The coroner and a Catholic priest each tried to get her to tell the truth, but in each case she stuck to her story, murmuring in her dying breath that McCarthy had shot her. The District Attorney was disappointed that Beezy Garrity’s dying statement didn’t condemn Dan Driscoll, but felt there was enough circumstantial evidence to charge him with her murder. Dan Driscoll was charged with first-degree murder for killing Beezy Garrity. Though Driscoll had not shot her intentionally, the District Attorney wanted to prosecute him for the highest charge possible because of his connection to the Whyos. Driscoll pled not guilty. 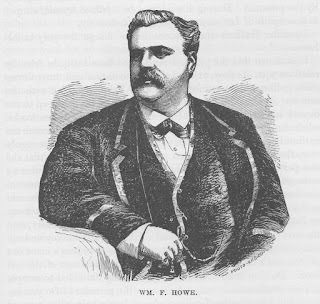 His defense attorney was William F. Howe, of the firm Howe and Hummel, the most successful criminal lawyers in the city. Howe and Hummel had often defended members of the Whyos, as well as many other high-profile criminals such as notorious fence “Marm” Mandelbaum and Jacob Rosenzweig, who hid the corpse of a botched abortion in a shipping trunk. William Howe, who was noted for appearing in court wearing garish waistcoats and flashy jewelry, had in the course of his career defended more than 600 accused murderers. Howe’s defense was aggressive from the beginning. During jury selection, from a pool of fifty-seven prospective jurors, Howe found only nine acceptable. A second pool of twenty-five was questioned before Howe agreed to three more. The first witness was a woman named Carrie Wilson who was at the Hester Street house the night of the murder who testified that she saw Driscoll force open McCarthy’s door and heard the shot that killed Beezy. John McCarthy testified that Driscoll had fired the shot. In cross-examination, he was forced to admit that he had previously served eight years in State Prison for robbery and two weeks earlier had fired shots at Driscoll. He did not deny that he kept a house of ill-fame. Mother: Beezy, I knew something like this would happen to you for not doing as I told you. Daughter: Mother, what’s the use of you talking to me that way now; I’m going to die. Mother: Who did it to you? Daughter: ‘Twas Danny Driscoll done the deed. The trial lasted only three days, and the jury quickly returned a verdict of guilty. Howe moved for a new trial on the grounds that evidence had been allowed relating to McCarthy handing the police a fully loaded pistol as proof of his innocence. He gave them the gun fifteen minutes after the shooting allowing McCarthy plenty of time to substitute another pistol. Recorder Smyth rejected the motion. Driscoll was sentenced to hang on December 3 but the hanging postponed due to appeals. An appeal the General Term of the State Supreme Court was denied in June 1887. 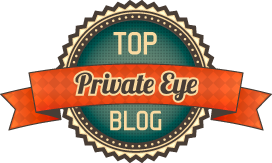 In November, Howe took the case to the Court of Appeals claiming to have evidence that eye-witness Carrie Wilson had not been at the Hester Street house that night. The appeal was denied. Howe went directly to the Governor of New York asking for a pardon, this was denied as well. While William Howe was attempting to free his client through legal means, Driscoll was looking for illegal ways out. During his trial, the warden of the Tombs prison made a routine inspection of Driscoll’s cell and found a three-inch corkscrew with which the prisoner had removed three bricks from the cell wall. 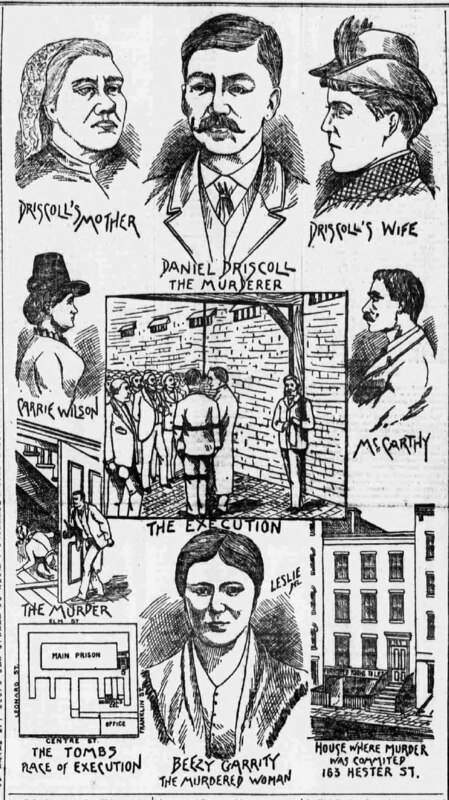 In October 1887, convicted murderer Dan Lyons joined Dan Driscoll on the Tombs’ Murderer’s Row. This was not the same Dan Lyons who had led the Whyos with Driscoll, but they were kindred spirits were soon working together to escape. Along with a third convicted murderer, they began a hunger strike to protest conditions at the prison. At the same time, Driscoll and Lyons, who had been smuggled a saw blade, each cut an iron rod from his cot to use as a pry bar to break through the cell wall. The heavy bars would be used as weapons should they succeed in breaking through the wall. Warden Walsh uncovered the plan before they could finish. For Driscoll’s most audacious escape plan, one of his visitors had taken a soap impression of the lock and had a duplicate key made. Driscoll had also been smuggled two bottles of kerosene and a false beard. The plan was to start a fire somewhere in the prison and in the confusion, Driscoll would unlock his cell and leave the prison in disguise. Walsh foiled this plan as well. Driscoll made numerous death threats against the warden, whom he called “Fatty” Walsh. Walsh decided he had had enough. He put Driscoll and Lyons in separate cells made of sheet iron – floor, walls, and ceiling. Within the cell, a woven iron fence separated visitors from the prisoner. Driscoll was allowed no visitors but his wife, Mary. The hanging was now scheduled for January 20, 1888, but Howe, in his only victory for Driscoll, managed to get a respite of three days. Driscoll used the time to write a sentimental letter to Mary, which was reprinted in the several newspapers. He also took the opportunity to publicly taunt Fatty Walsh. He continued to maintain his innocence of the crime but had become resigned to his fate. 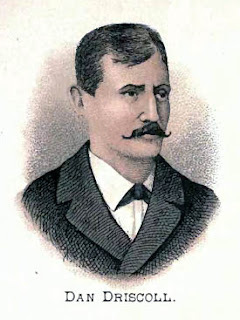 Dan Driscoll was hanged in the Tombs yard at 7:24, the morning of January 23, 1888, in the presence of the Sheriff, the Sheriff’s jury, a few jail officials and ten reporters. He died game. Asbury, Herbert, The Gangs of New York (New York: A. A. Knopf, 1928). “Awaiting the Rope.,” New York Herald, January 20, 1888. “Beezy Garrity's Murder,” New York World, January 23, 1888. 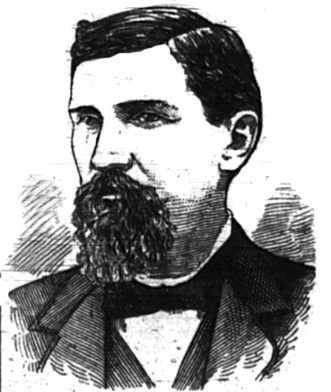 “Dan Driscoll Indicted for Murder,” Cleveland Leader, July 9, 1886. “Dan Driscoll Must Hang,” New York Herald, June 19, 1887. “Dan Driscoll's Bold Plot.,” New Haven Register, January 10, 1888. Defenders and offenders (New York: Buchner & Co, 1888). “Driscoll in a Surly Mood,” New York World, December 3, 1887. “Driscoll's Last Hope Gone,” New York Herald, November 30, 1887. “Driscoll's Pistol Shot.,” New York Tribune, September 29, 1886. “Driscoll's Short Respite.,” New York Herald, January 19, 1888. “Iron Cages for Desperadoes ,” New York Herald, January 5, 1888. “Murderers Baffled,” New York Herald, December 3, 1887. “The Queen of the Whyo Gang,” The Times, July 4, 1886. Riis, Jacob August, The Making of an American (New York: The Macmillan Compamy, 1901). Sante, Luc, Low Life: Lures and Snares of Old New York (New York: Farrar, Straus and Giroux, 2003). “Summary of the News,” New York Herald, October 2, 1886. “Who Killed Bridget Garrity ,” New York Herald, September 28, 1886. “The Whyo Chief to be Hanged ,” New York Herald, October 9, 1886. “'Whyo Dan' is Hanged,” Daily Critic, January 23, 1888. “The Whyo Exults,” New York World, January 21, 1888. A Mystery Solved by a Skeleton. Murderous Shooting in a Bagnio.